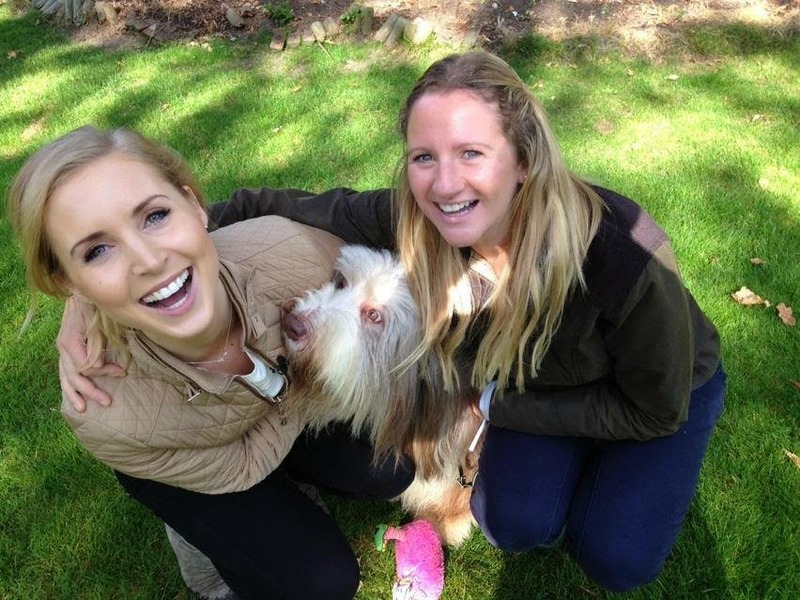 Our review of doggie tech got picked up by Sky News show #Swipe... here's what the presenter said about her day out filming the show! Gemma Morris presents Swipe for Sky News. There are so many things that can go wrong when you're out filming. There's bad weather, logistical mishaps, non-compliant guests, forgetting important scripts or props, breaking things....the list goes on. So what an absolute pleasure it was to turn up in leafy Chobham for a packed morning of filming for our Sky News technology show Swipe, and have everything fall into place wonderfully. One of our producers, Angela Barnes (seen above with Oscar! 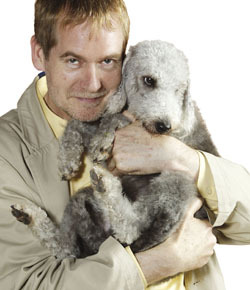 ), had come up with the great idea of delving into the world of 'pet tech' for an episode of Swipe, and as I began my research for the programme, it suddenly dawned on me what a huge and constantly growing area this was. 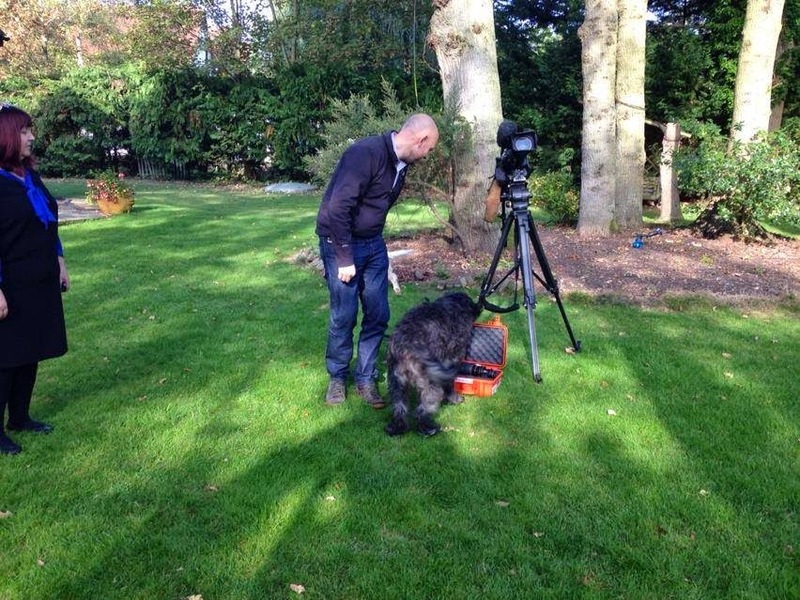 As Beverley put it so perfectly- while I interviewed her in her gorgeously spacious garden- the pet tech market is "going ballistic" right now. There are all kinds of PAWsome tech out there including games consoles for cats and dogs, wearable trackers, harness cameras, and apps that enable you to health screen your pet's urine using an app on your iPhone! 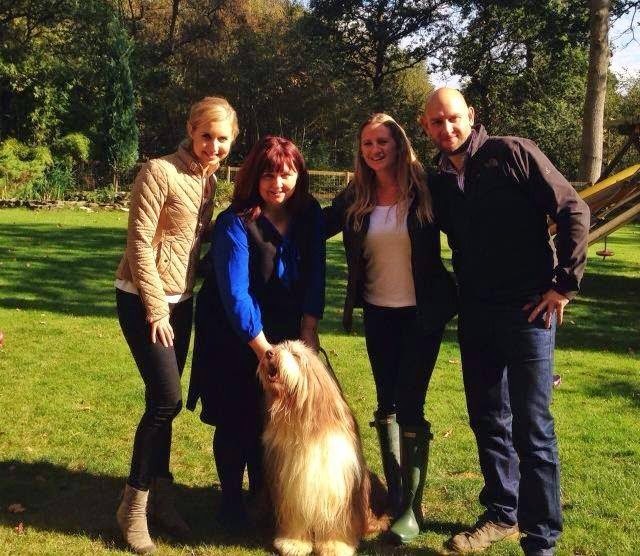 Angela, cameraman Pete and I had a great time filming Beverley's pooches Tess, Betty and Oscar. Tess did a particularly sterling job of demonstrating a GoPro Fetch (and it's durability with a leap in the pond! ), a device that lets you record video from a camera attached your dog. The sun was shining, we didn't break anything (I hope that's right Beverley?!) and all of our guests - furry or not - were a treat to talk to. Beverley's interview turned out to be my favourite part of the show. I've never been lucky enough to own a dog, but after this episode - I want one! And some tech to play with too! Swipe airs on Fridays at 9.45pm and Sundays at 8.45pm on the Sky News channel. It can also be seen on Catch Up TV, SkyNews.com, the Sky News for iPad & smartphone apps, YouTubeand Apple TV.